Corn Syrup is Fine in Moderation? "Corn syrup is made from corn, has the same calories as sugar, and is fine in moderation." In 2008, The Corn Refiners Association in the United States started an "educational campaign" to disseminate and propagate on national TV - that HFCS is natural and safe for your health. Lies and treacheries. Watch these commercials. What has humanity come to? 1) High Fructose Corn Syrup is far from natural. 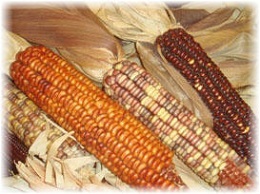 White corn starch processed from genetically modified corns is made to yield glucose under high temperature. The glucose is then converted into fructose. Being a highly processed sweetener, HFCS is synthetic! A Study by Institute of Agriculture and Trade Policy (2009) even revealed that some of this syrup is manufactured using mercury-grade caustic soda. Mercury accumulates in the body, and is especially damaging to the developing brain of the foetus and infant. Pregnant moms, watch what you are drinking. 2)	Refined HFCS is metabolized by your liver and does not cause the pancreas to release insulin the way the body normally does. Thus it converts to fat more than any other sugar. Kidney specialists at the University of Florida, discovered that fructose consumption raised blood levels of uric acid and developed "metabolic syndrome," a condition of insulin resistance and abdominal obesity linked to heart disease and diabetes. Studies showed that fatty liver disease from too much fructose made the liver look like that of an alcoholic. A press release by the American Chemical Society also informed that researchers have found that commonly consumed carbonated beverages sweetened with HFCS had high levels of reactive compounds that have the potential to trigger cell and tissue damage and cause the development of diabetes, particularly in children. If all these findings do not stir us to fret about the health and future of our children, I don't know what will. 3)	The argument that corn syrup "is fine in moderation" appeals to many of us, but the sticky truth is that corn syrup has sneaked into so many foods, e.g sauces, peanut butter, cereals, yoghurts, salad dressings, cookies, processed meats, etc, you just name it. Its low cost and long shelf-life have caused many food manufacturers to embrace it. You can only detect it with enough vigilance in your shopping. Furthermore, corn syrup easily results in overeating because it fails to stimulate leptin, the hormone that trigger chemical signals to tell the brain your stomach is full, like other foods containing regular refined sugar do. And, what is even more disturbing is, when HFCS is heated/cooked, it becomes contaminated with hydroxymethylfurfural (HMF). And when HMF breaks down in the human body, they become even more toxic than HMF itself. HFCS is banned in Europe and Canada for reasons. Most people have been told that HFCS is bad, but they don't really know why. Treacherous are these ads because they are very likely to be perceived as true. Lies are not expected to be aired on national TV. And the results after many years of public education on corn syrup? In January 2015, the University of Utah revealed in what was reckoned as the most robust study on the comparison of table sugar and corn syrup toxicity that 42 percent of the added sweetener in the US diet comes from corn syrup; 44 percent comes from sucrose (table sugar). The remaining 14 percent natural sweeteners such as honey, molasses, and fruit. In contrast, worldwide, high fructose corn syrup accounts for only eight percent of added sugar consumption. Comparing the figures, Americans are hence more likely to consume excessive amounts of HFCS than other nationalities, and US obesity and disease statistics seem to correspond to that as well. So, help save our children from such confusion and this generation, from drowning in high fructose corn syrup, HFCS. No schools, educational institutions or religious organisations are going to educate them on agri-corporate hogwash and the harmful effects of HFCS. Believe in these ads and you are in for a nasty surprise! Do these ads bug you? Do you think they would change the conversation about high fructose corn syrup? Drop your comments and thoughts here. PS: Give your posting some time to load and be published on this page. I've not made it work automatically due to spamming concerns. Don't listen to those assholes about HFCS. Every time I smell fry chicken, trans fat comes into my mind. Trans fat makes food taste and smell good and we all know what can it do to our body. I have been diagnosed of type 2 diabetes and sometimes I drink as much as 80 grams of honey per day and my blood sugar level becomes halved (drop from 190 to 90 before meal, 280 to 110 after meal). Yes, it can convince people to check consumption of HFCS. These ads really have us pegged: a stressed, but complacent public, who find it easier to be lulled by logical reassurances--especially if we hear them on TV. I tend to be a conspiracy skeptic, but these days... It is really scarey how far our government will go to protect corporate greed and how long enduring our complicity of silence. And yet, I too, like I'm sure many Americans, feel overwhelmed and unsure of what to do about it, because I don't want to just talk about it....I WANT IT TO CHANGE. How did Canada and Europe do it? WHY hasn't the FTC SHUT THESE ADS DOWN & FINED the perps?!!!!!!!!!!! Oh, yes. These ads will change the conversation. I think it is a moral crime that companies will say and do anything in the name of a "golden" dollar. "Wear this green shirt and you will automatically be beautiful." This lie doesn't really hurt anyone. But, to promote something as poisonous to everyone's health as high fructose corn syrup is a marketing strategy that we as the American consumer must research completely. EVERY marketing campaign is a ploy and potentially dangerous to us all. I find these ads extremely disturbing. The lack of information suggests an infallible claim; that corn-syrup is harmless and is "fine in moderation." It is not a balanced account of the facts and supports an unhealthy cause. These ads really eat me alive. My mother died from pancreatic cancer on 10/18/09. She arrived in the US, from Ukraine in 1977, a healthy slim 35 year old woman. No one in our family history had diabetes, or cancer. She had never had a soft drink before (really). She thought it was gross at first, but then got used to it. Yet after being exposed to GMO foods, corn syrup, cornstarch, HFCS, and everything else they can jam corn into these days for 10 years, she developed diabetes, gained a lot of weight, began suffering from severe mental disorders. . . then ultimately dying of pancreatic I see the connection don't you? Yes no one forced her to eat any of those things, but all of this information seems to be just coming of out of the woodwork, had we really known about the dangers of GMO corn 20 years ago, she'd probably still be around today. I hope that sonner or later people will stop eating such bad things!!!!!!!!!! Corn syrup causes my type 2 diabetes to go from 145 to 250. I drink one soft drink and look out. 1) High Fructose Corn Syrup sounds really healthy! But hold on, is there is more than meets the eye? 2) Ironic as it may seem, so-called "fruit sugars" can be dangerous for diabetics. Read Fructose Corn Syrup or Fruit Sugar?. End of "Corn Syrup is Fine in Moderation?". Back to "Sugar is Bad, But is High Fructose Corn Syrup Worse? ".